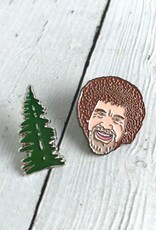 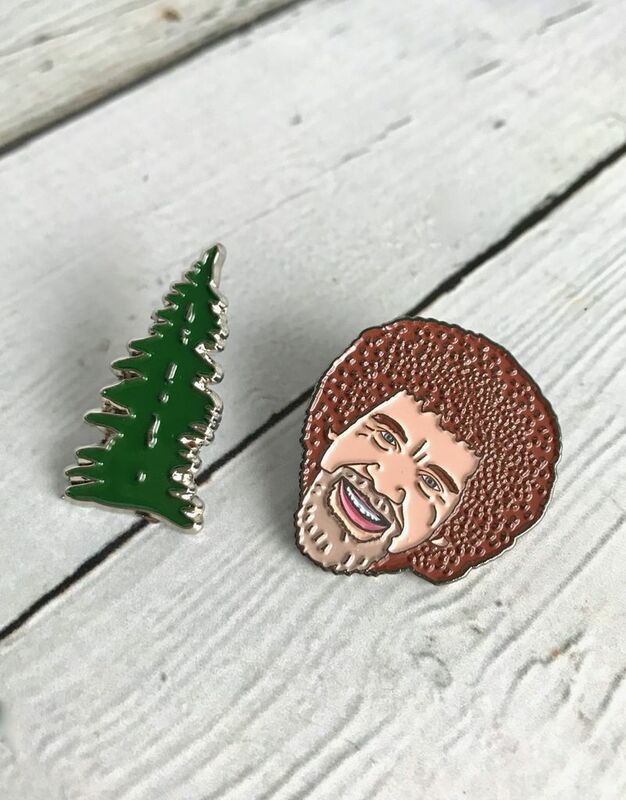 Die-cast enamel pin set featuring Bob Ross and one of his happy little trees. 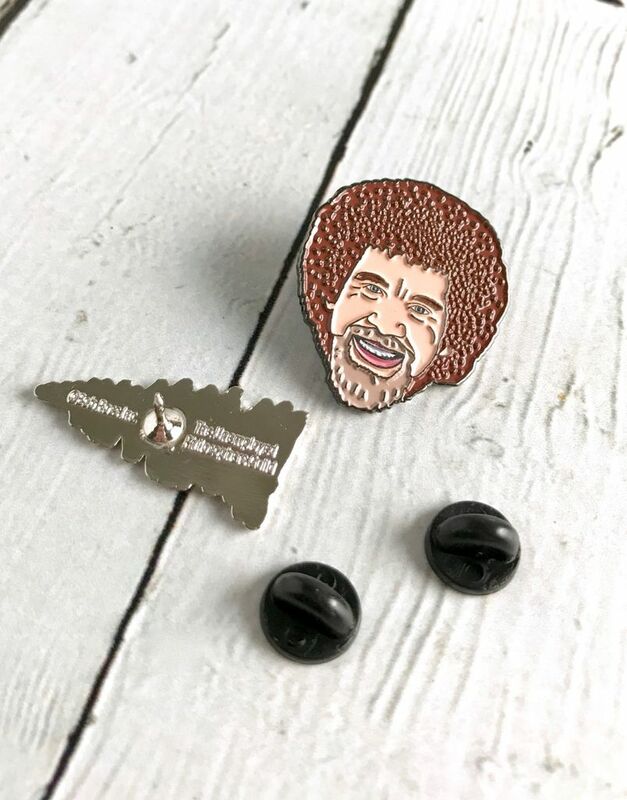 Comes with two rubber pin backs that really hold on. 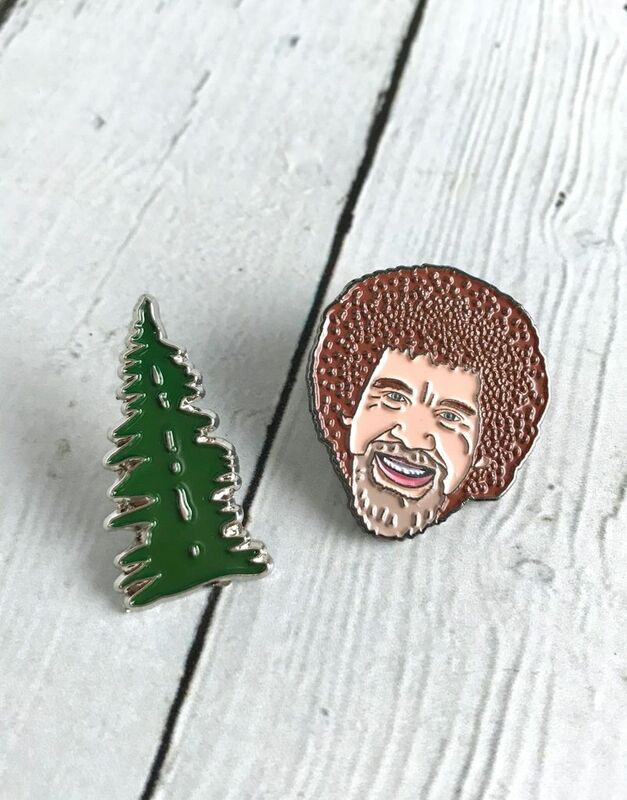 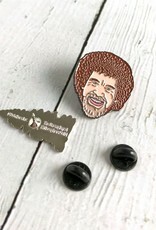 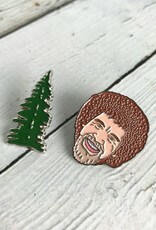 A wonderful gift for any friend who loves Bob Ross. 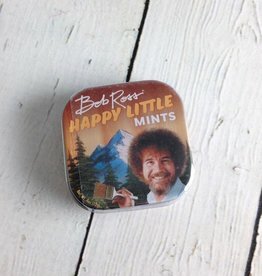 .4 ounces of peppermint mints in a full color tiny tin.